On November 11th, 1918, the First World War came to an end. Like many communities, Camberwell changed dramatically during the war and there are many fascinating stories about how local people adapted to a new way of life. The consequences of war literally hit home one night in October, 1917. A 660lb bomb was dropped on the junction of Calmington Road and Albany Road from a German zeppelin airship, killing 10 people and injuring a further 23. A 101 years later, we were delighted to sing at the installation of new artwork, commemorating the event. ‘Silent Raid’ by artist Sally Hogarth is so thought provoking – it’s made up of little houses where the originals once stood, now in an empty part of Burgess Park. The houses vary in height and colour depending on the age of each victim and proximity to the blast. It reminded many of us how fragile life is and how easily it was taken away that night, without any warning, whilst people were sleeping in their own homes in Camberwell. Whilst a century separates us from the events of World War I, we’re looking forward to performing at ‘Music and Stories for a century past’, a concert with readings and accounts about the lives of ordinary people in Camberwell during the war. It’s going to be a great way to find out more about our local history – visit the Facebook Event page for more details about this unique event. At the time of writing, spring feels like it couldn’t be further away… Our warm-ups before each rehearsal have taken on a new-found importance and it seems quite odd that the centre hall is too cold – even with so many people in it – rather than too hot like it usually is! Hopefully, by the time we perform at our ‘Songs In Spring’ concert, the weather will be a little bit more seasonable. Although we’re not singing songs about spring, our annual get together with other local choirs is building into a springtime tradition. It’s really great to hear what others are working on and fun to meet other like-minded singers. We’re hosting this time and we’re welcoming five other choirs to St Giles’! It should be a choral feast and it’s well worth bringing friends and family along. It’s free and refreshments are available. We’ll even have a chirpy song for everyone to sing-along to at the end. I think everyone in our choir would agree that 2014 has been a fabulous year for singing! We’ve performed in a play at the Young Vic and sung with other choirs both in and outside of Camberwell. We’ve provided the soundtrack for a silent movie and redefined the definition of ‘wine and cheese’ night..! To finish the year off then, last week the choir performed at Kings’ College Hospital’s Community Carol Service. The chapel at the hospital was packed with doctors, nurses, patients and other members of the hospital and local community. We sang two solo items and led the congregational carols with some awesome descants. It was a perfect service with a historical perspective too; 2014 marking the 100th anniversary of the Christmas truce in WW1, a conflict which saw many of the staff from the hospital volunteer and consequently lose their lives in the fighting. 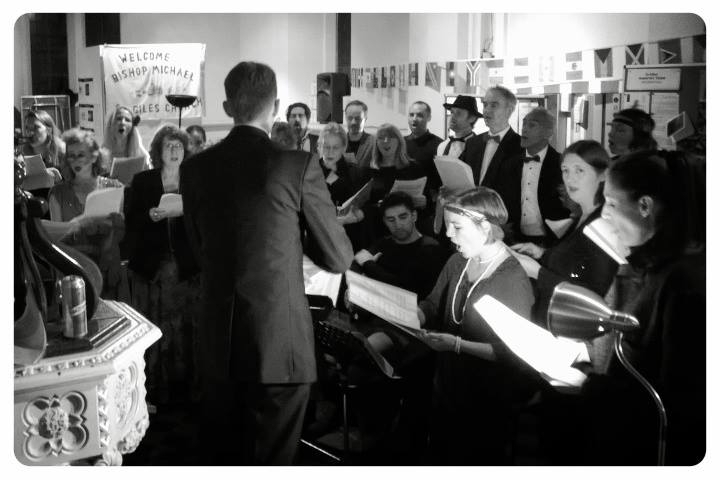 As a choir, we really enjoy singing at occasions you might not always expect a community choir to be singing at – our silent film night is a perfect example! 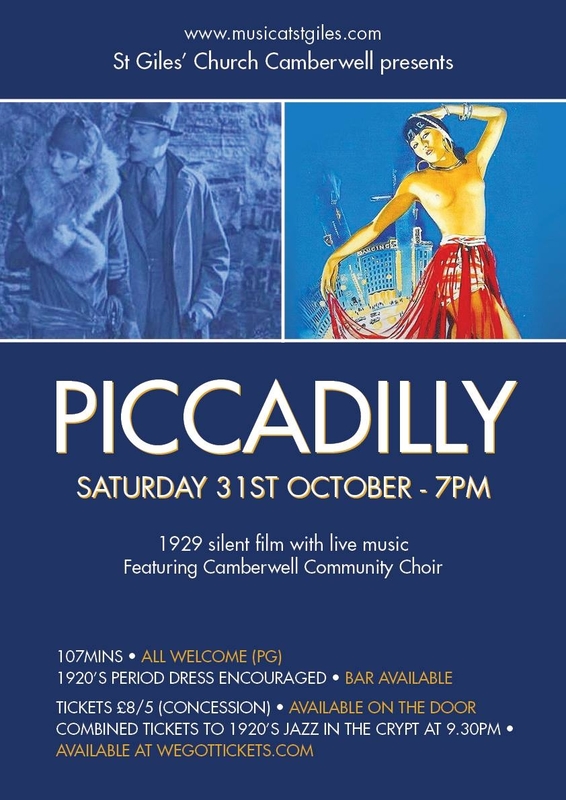 But singing at events in Camberwell which bring local people together is a real privilege too and since ‘community’ is in our name – we hope to continue doing it for a long time time to come. 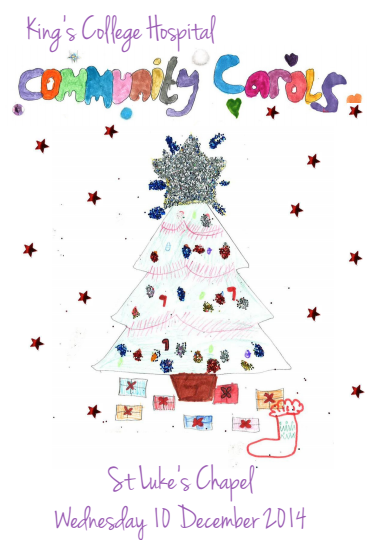 So our last event of the year is ‘Carols ’round Camberwell’ – the last word in community carol singing! It’s on Tuesday 16th December and we’ll be performing some carols in St Giles’ church from 7pm before heading out into Camberwell – if you’re in a local pub or restaurant along church street, keep your ears pealed as we may drop in and surprise you! Have a Merry Christmas, Camberwell. Our Halloween / silent film / scary choir concert went so well! The buzz about it is still going on and there’s been so much interest in our choir and music at St Giles’ since then. In fact, no one can remember the church so full for a concert! Awesome work by everyone involved – we just need to have a think now how we can beat it! With Christmas coming, there’s at least another two opportunities to perform this year. First up on Wednesday 10th December at 6.30pm is Kings’ College Hospital’s Christmas Carol Service. It’s a service for all the staff and patients at the hospital and should be a really special occasion. It is a service as appose to a concert, so there’s obviously a religious element to it although if that’s not your thing, it’s still an opportunity to have a bit of quiet time to yourself before the onslaught of Christmas shopping and the like! Plus, some of the music choices will be really special and it’s important that as we’re called a ‘community’ choir, we perform all over our patch and share our music with everyone. Then – the big one. Our Christmas concert is on Tuesday 16th December at 7pm in St Giles’ Church. ‘Christmas Concert’ doesn’t quite cover it though as it’s going to feature ‘Carols ’round Camberwell’ which basically involves donning a heavy winter jacket, scarf and the like and then walking around Camberwell singing Christmas Carols. It’s awfully good fun – last year a thunderstorm started just as we walked outside and the year before that was the ‘Great Wind’…. But we’ll take shelter in lots of pubs en route and hopefully it will descend into a choir party as well. So three events in one night – we never do anything by halves! A Fright night at the movies! The scariest night of the year is fast approaching…and when you’ve finished trick or treating, come over to St Giles’ Church in Camberwell and enjoy a classic silent film with live music – where sadly everyone will hear you scream – as it echoes around the church! 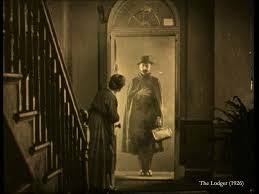 We’re showing ‘The Lodger: A Tale of the London Fog’ at 7pm on Friday 31st of October. The choir is going to sing along with creepy piano music in-between the songs. It’s a sort of concert and film screening all at once – but sadly the church pews don’t have any cushions to hide behind so we’re laying on a bar to dull your senses instead! Despite all this, families are very welcome! It’s rated PG and probably the scariest aspect of the evening will be going to the loo as the toilets at St Giles’ are downstairs in the crypt… But it should be a fab night and just to make it that bit more atmospheric – feel free to come in costumes or period 1920’s dress. Tickets are £5 and £3 available on the door. And if you’re hungry for more music and thrills after all this, why not head down to the crypt bar for live jazz? Funky band ‘Paragon’ will be down there playing music from their new album ‘Cerca’. Have a listen for yourself here. The crypt is open till witching hour and you can get joint tickets for the film and jazz (from 9.30pm) at wegottickets.com.